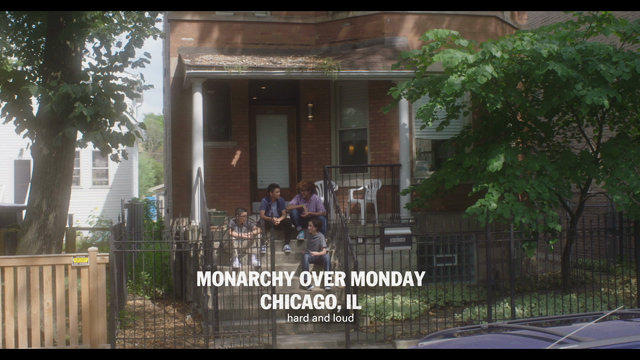 Chicago’s sci-fi-yacht-metal outfit Royale have had a whirlwind of a year — and it’s only June. On New Year’s Day, they released their debut album, …As Long As The Money Lasted. The following months, however, saw unforeseeable changes in the life of each band member as they began work on a sophomore effort. As the finish work on the LP, the band has opted to revisit its past with a new compilation of b-sides and outtakes called Garden Tapes, out September 21st via Stylus. Listen to the first track, “Under Control”, below. Given the band’s current trials, “Under Control” feels especially poignant. The electro-tinged indie rock track delves deep into hopelessness with drum machine loops and watery guitars. Frontman Joel Bauman’s vocal drone in the mix, reminiscing on the chorus, “Once upon a time/ You were looking to rewind/ To a dream/ Where everything was under control.” It’s a mournful look backwards, but perhaps a cathartic release for a band in throes of circumstance. Pre-orders for Garden Tapes will begin July 2nd through iTunes.